The first thing that draw my attention to Studio Meez was this super cute knitted apple that felt oh so cushy and sweet to ignore. And then, there are all those art prints, the brooches and the postcards that made my heart skip a bit; so lovable that I really want to collect them all! P.s. 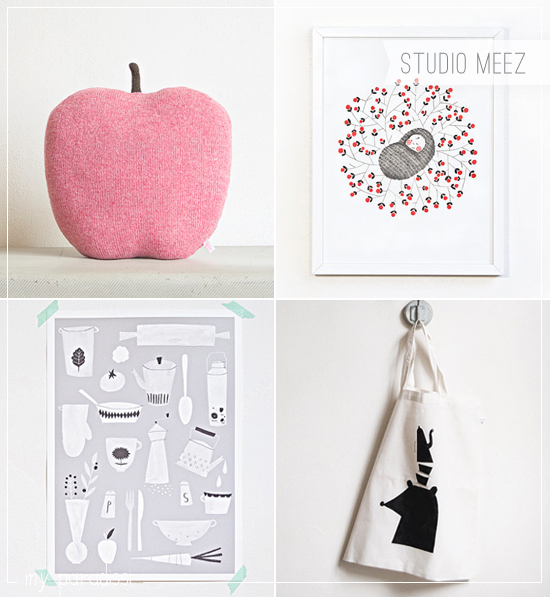 You have to check Studio Meez's blog too. It's super nice! 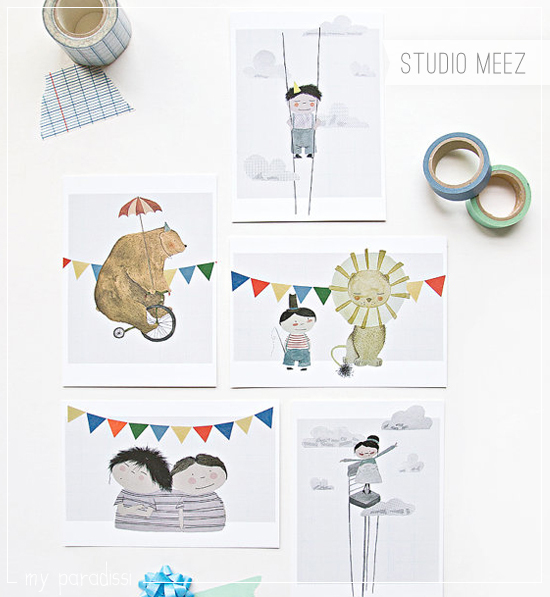 1 comment on "Studio Meez"
I love your blog! It's really inspirational and I check it out regularly. Studio Meez looks great!